205 hp isn't that shabby. For those who don’t think the new Honda Civic Si’s 205 hp is enough juice, the automaker is here to tell you this was done on purpose for a very good reason. 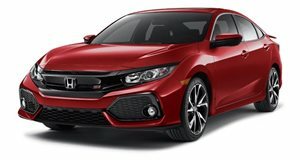 Honda told Automotive News the 2017 Civic Si’s turbocharged 1.5-liter four-cylinder, like all of its engines, has been designed "to last hundreds of thousands of miles," and thereby capping its total output at 205 hp and 192 lb-ft of torque will ensure "the durability of the engine." The previous Civic Si also has 205 hp, but its torque figure was lower at 174 lb-ft, so there’s that. But Honda also clarified that "you can tune more power into (the engine)," something the aftermarket will inevitably do. Another goal Honda had for the Civic Si was to keep it affordable. Base price is $23,900 for both the coupe and sedan, and some standard features include a sunroof, sport with adaptive suspension and a limited-slip differential. Nice. Keeping it affordable also wouldn’t have allowed Honda to drop in the larger 2.0-liter turbocharged four-cylinder that powers the also new Civic Type R, which would’ve jacked up the Si’s price to nearly $30k. 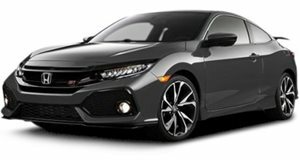 Honda also managed to keep the Civic Si’s price low thanks to the sales success of the 10th generation Civic base lineup. Over 500,000 units have been sold in the past two years. With the Civic Si and Type R now both on sale, Honda will be watching sales closely because it hasn’t ruled out a new model to slot in between the two.